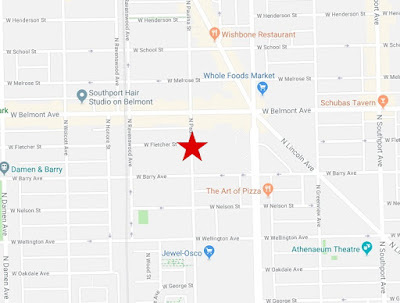 A 20-year-old woman was robbed at gunpoint in Lakeview on Wednesday evening. No one is in custody. The victim was not injured. Approximate location of last night's robbery. 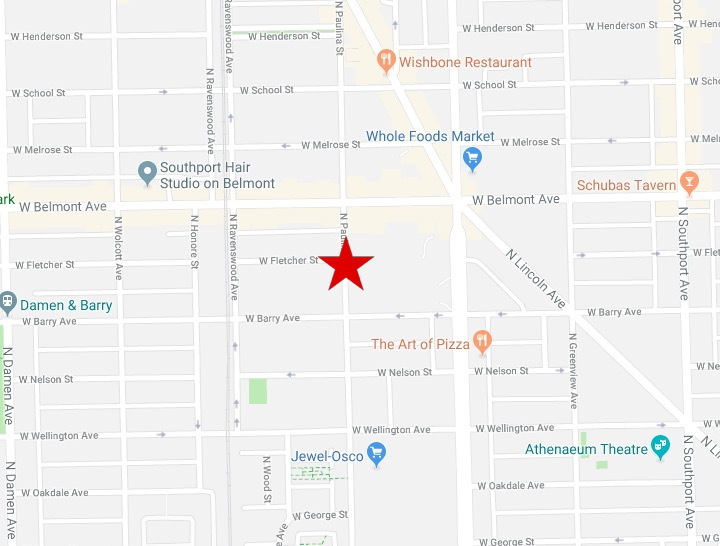 Police said the woman was walking in the 3000 block of North Paulina when an unknown man approached her and displayed a handgun around 10:40 p.m. The man demanded cash and the victim turned over her credit cards and Ventra card to the offender who then fled the scene, according to police. Investigators determined that the offender used one of the victim’s credit cards at a gas station near Seminary and Fullerton about ten minutes after the robbery. Officers converged on the area around the service station, but the offender had already slipped away, according to police. Cops reviewed video at the gas station that showed the offender getting out of the passenger seat of a red Dodge Avenger with Lyft stickers on its front window. A driver was also in the car, but they never got out of the vehicle. The passenger is described as a black male in his 20’s who was wearing a gray or black hoodie. He has short hair and no facial hair, according to police. Exclusive, original reporting for the Lakeview area. We can only do it with your support. Subscribe for just $49 a year or $5 a month to receive members-only reports and services. Or, name your own amount. The choice is yours. Thanks so much!